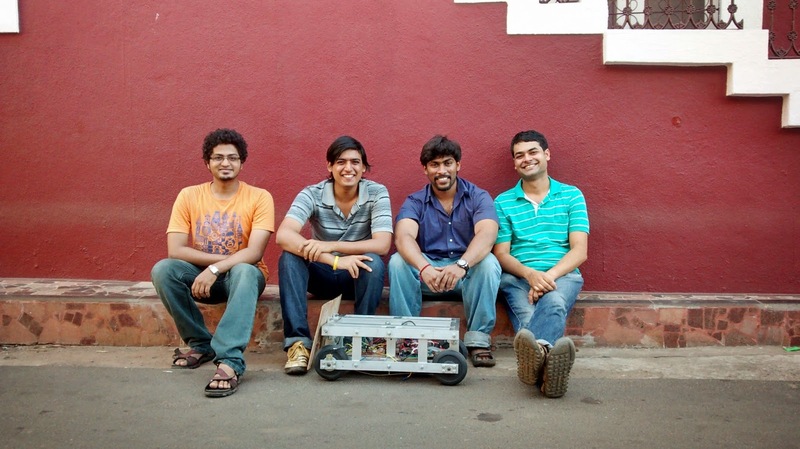 Inventrom Robotics, a Goa based company, was started by Mr. Pranav Pai Vernekar while he was in college in 2011. He, along with his friend Mr. Vinayak Joshi, both alumni of Goa Engineering College designed their first product, ‘The TechnoBoard’. After an MBA, he started his career with IMRB, but soon he left his job to follow his passion for Robotics Technology. From their first product, TechnoBoard which is a Robotics R&D board to the current under working Minion Bot, Inventrom Robotics has come a long way in its working and popularity. They have received a Patent by the Indian Government for Zau Wireless Programmer, the first in the world of its kind. So Far, So Good : While their product device, TechnoBoard has already sold more than 200 units others like the Zazu wireless programmer, Topping Pi and Minion Bot are to be launched over the next few months of this year. They love sharing their expertise via conducting workshops, which also acts as their major revenue generator. Their corporate client list for workshops include bigwigs like TCS (Tata Consultancy Services), Chowgules, NETZSCH, PSL (Persistent Systems Ltd.) among others and they have successfully trained over 1500 engineering students from renowned institutions like the IIT's, BITS, BVIT etc. ; garnering positive responses from all over. Moreover the levels of the workshops vary from the basic ones like RoboWorld; designed especially for kids right to the advanced levels like the Invent-O-Pi and Internet of things, pertaining to an Engineering student and working professionals. So as long as one has an interest in Robotics and its geeky functionings, they have something for all. A robotics company? Wow! Very out of the box. What inspired you to get into the tech world? Being an engineer, technology always fascinated me specially robotics. I built my first robot in my second year of engineering with two of my classmates. It was a simple white line follower and an obstacle avoider. During my final year with the same team I built a much-advanced robot, which could be controlled over the internet and transmitted video over the net. In fact, it was so heartening to see a similar robot in the TV series Big Bang Theory a few months later. While we were in the final year of engineering me along with my friends started a Robotics company by name Accipion. We even conducted a few workshops, which generated capital for our product development projects. However the final product never materialized. Though it was a great experience and lessons learned there came handy while starting up Inventrom. What kind of relationship do you share with technology and gadgets? If it is a strong one, give us an instance/ an invention which drew you to the world of robotics? Do you directly get involved in the development of the products which your company engineers? Most of my time in the day is spent with technology. There have been a lot of inventions that have been inspirational. From various Apple products, TESLA Cars, even the TV recording technology like TATA Sky Plus. They all make our lives beautiful. Yes. I am completely involved in the development, especially in the product design phase. My task would be to understand the consumers and accordingly plan on the features and services. I also take up few programming tasks if required, though my main focus is on product design, sales and working on the overall strategy of the company. I am very lucky to have a team of extraordinary engineers working with us at Inventrom who look after most of the electronics, mechanical and software design and implementation part. You did your Engineering in electronics and telecommunication, quite understandable that this love for technology evolved partly from there. But an MBA thereafter? What made you go for higher studies in management? A lot of times people have questioned me that why MBA if you had to build an engineering centric company or why engineering if you had to do an MBA. I have realized that knowledge of both is essential for success. Engineering skills as well as business management skills have to go hand in hand to ensure success. Both are depended on each other. A good salesman will find it very difficult to sell a bad product while a good product will not sell if the communication to the customer is not good. It is only when different skills come together that you are able to create products that are magical. How does a typical day at work look like for Pranav? I start my day in the office at 8.30 am. This is the time when I plan for the day as well as we plan the tasks for the team for the rest of the day. Post that the tasks vary based on the requirements for the day. I mostly have to look at product design, financials, marketing etc. One good part about my life at Inventrom is I get to be home for lunch and also manage to take a short 10-15 minute afternoon siesta. We are in the office generally till 6 pm. Normally I also code for about 1-2 hours post dinner. It’s my stress buster. At the office, we have a very casual environment. We do not have a specific dress code. We are fine with employees walking into the office in shorts and a T-Shirt. We have comfy chairs as well as a bed for those who like to work lying on the bed. We also have a refrigerator where we store snacks and lots of ice cream for all employees to have any time. 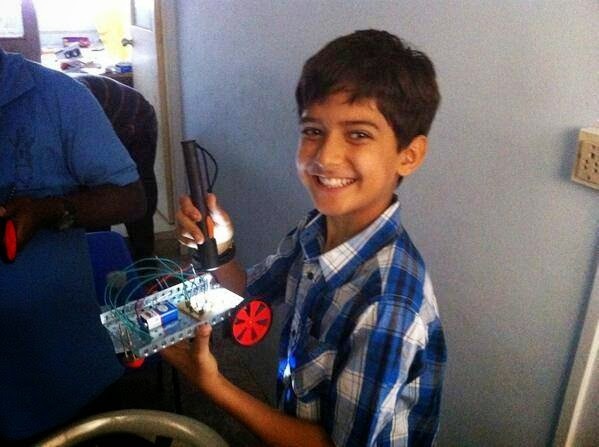 You are young and you are already doing some phenomenal work in the field of robotics. Do you ever feel age to be a challenging factor while you deal with clients? If yes, what are the few ways you combat them? Oh yes. It does. A lot of times I have to deal with customers or suppliers who are almost twice my age. Though the best part is a lot of time being young is considered positive in the technology world. Also, I have realized that people are quite supportive and since the startup scene is developing in India in a big way so people do understand the issues and support you. When I was in studying in GIM, I was part of the Ribandar Talks club where I had to interact with lot of prominent people. This experience came handy when we had to meet people to propose our products. What marketing techniques did you employ as a startup to get noticed? We used to write a lot of articles in newspapers. The newspapers also gave us the credits for the same. The social media has been a great help too. In addition, we used personal calling and E-Mailing to individual customers. Due to our good work with workshops currently three-fourth of our workshop sales are driven by Word of Mouth. Tell us about the biggest challenge you’ve faced so far? Also, what’s the one thing that has worked for you, and would suggest other entrepreneurs try as well? The biggest challenge has been in product R&D. We faced issues due to lack of guidance and had to learn the hard way with financial losses. For example - We did not know the best company for PCB printing around and ended up initially with some who did substandard work. We decided to bear these losses ourselves instead of passing to the end user to ensure better service to our customers. Our focus on working capital instead of just the assets and investments helped us a lot. We are primarily looking at launching the Minion Bot by the end of this year. Our main focus till next year will remain on the Minion Bot promotion and marketing and ensuring sales of the same. We are also launching an online store to increase sales of our R&D products. In the coming six months we will also try to raise finance through investors. Any noteworthy accomplishments you’d like to mention in the startup journey so far? We have managed to have an extraordinary team. 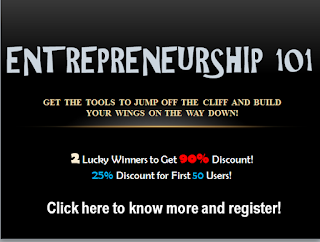 Most of the guys at Inventrom could have easily got plush high paying jobs and even now regularly get offers. However, they continue to have a bigger vision and work on their dream making the world a better place through robotics. 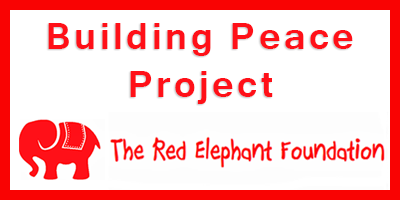 We have also so far been self-funded which is a great achievement. This has helped us in keeping with our vision of providing better products to the world without having the pressure of profit motives. Do you think Indian B-schools are doing enough to create a committed job-makers? You have seen both sides of the coins- a job seeker as well as now, a job maker. What are a few things that you think come as crucial along with being a responsible job maker? I feel there is a lot more to do to create committed job makers and entrepreneurs. Most of the B-Schools have focused on placements and getting jobs with higher salary rather than focusing on better profiles and a job where the students can contribute in making the world a better place. I believe the most important for being a responsible job maker is perseverance. A lot of people think that a failed startup is cool. However, it is important to not give up easily and try longer. As it is said what differentiates successful entrepreneurs from unsuccessful ones is that they did not give up. Any message to your juniors who are raring to lead? Ones with big ideas and dreams in their eyes. Take up a job that you love to work on. Since they are going to spend a major time of their life on their job it is very important to choose what you enjoy doing. Rest everything automatically falls into place. Also, do not be part of the mad competitive rush of higher salaries and higher paycheck. Take some time and decide what your long-term goal is. Where do you see yourself when you are 60-70 years old? Then plan your career accordingly. Who can think different from other can grow in fashion industries. top Fashion Design colleges in Mumbai emphasizes on enhancing a student's creativity. In order to facilitate it various academic session are conducted which includes creative thinking exercises for practical experience, projects, etc. You're the best to share us about this refresh. Expectation you won't get drained on making posts as enlightening as this.